Krizz Kaliko – ‘GO’ – PRE-ORDER ON iTUNES! 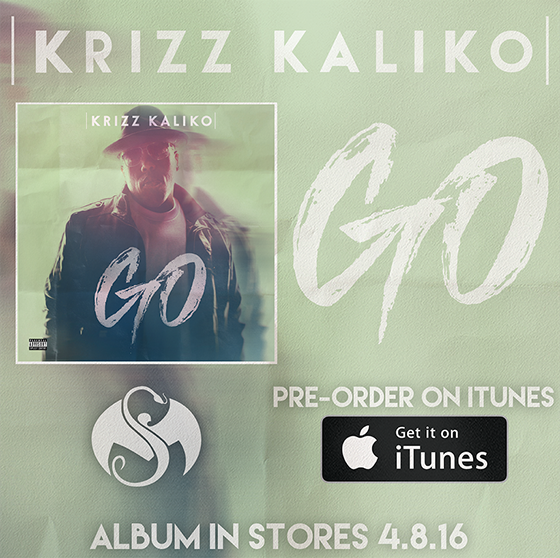 After anxiously anticipating the release of Krizz Kaliko’s upcoming album, GO is now available for pre-order on iTunes! With features from Tech N9ne, Stevie Stone, Rittz, CES Cru, JL B.Hood, and Wrekonize, you’re about to hear a whole different side of Krizz Kaliko you’ve never heard before. With your iTunes preorder, you get “Stop The World” and “Behave” ft. Tech N9ne instantly!